We are your senior fitness trainer! "I can do it." Being compliant with an exercise program is a constant challenge to our seniors. Motivating older adults to become physically active for the first time, return to exercise after a break in their routines, or build more exercise and physical activity into weekly routines are the key essential elements of a senior fitness. Look for daily opportunities to exercise in work and play. Force yourself to walk by parking your car several parking aisles away from the store or your office entrance and walk briskly! Choose an exercise you like and stick with it. Use the buddy system. Arrange to have a friend meet you - It's harder to say no to exercise when you exercise with a friend. Walk, swim, climb, bicycle, dance, fish! 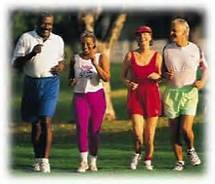 Join a walking group or visit your local Y, recreation center, park, church, or senior center. Aging is a normal part of life, and we’re living longer and longer. 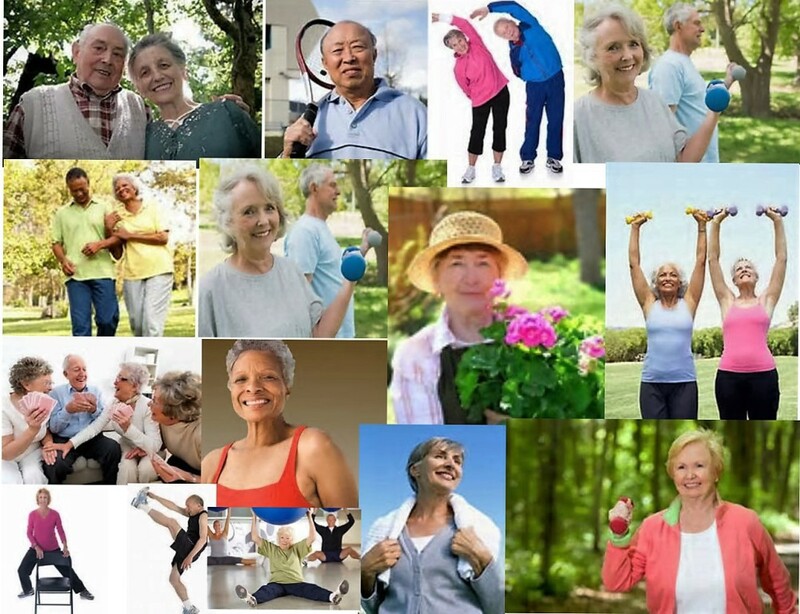 With today’s medical advances, many adults are celebrating good health along with longevity. With healthy lifestyle habits, plenty of exercise and activities, and strong social support, healthy seniors can look forward to personal fulfillment and a long life. Beaumont Senior Fitness is available for our seniors in the community who is ready to put their fitness goals first. We offer qualified trainer to assist you in attaining your wellness goals in the convenience of your own HOME. Senior Fitness Article. Click here for more information. Guidelines for Fall Prevention. Click here for more information. Assessment of Fall Risk in the Elderly. Click here for details . 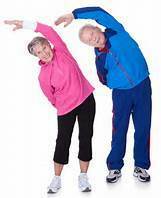 Exercise Guidelines from National Institute of Aging. Click here for details . We know 150 minutes each week sounds like a lot of time, but it's not. That's 2 hours and 30 minutes, about the same amount of time you might spend watching a movie. The good news is that you can spread your activity out during the week, so you don't have to do it all at once. You can even break it up into smaller chunks of time during the day. It's about what works best for you, as long as you're doing physical activity at a moderate or vigorous effort for at least 10 minutes at a time. As an older adult, regular physical activity is one of the most important things you can do for your health. It can prevent many of the health problems that seem to come with age. It also helps your muscles grow stronger so you can keep doing your day-to-day activities without becoming dependent on others. Not doing any physical activity can be bad for you, no matter your age or health condition. Keep in mind, some physical activity is better than none at all. Your health benefits will also increase with the more physical activity that you do. If you're 65 years of age or older, are generally fit, and have no limiting health conditions you can follow the guidelines listed below. --- 2 hours and 30 minutes (150 minutes) of moderate-intensity aerobic activit(http://www.cdc.gov/physicalactivity/basics/glossary/index.htm#mod-intensity) (i.e., brisk walking) every week and muscle-strengthening activities(http://www.cdc.gov/physicalactivity/basics/glossary/index.htm#muscle-strength) on 2 or more days a week that work all major muscle groups (legs, hips, back, abdomen, chest, shoulders, and arms). --- 1 hour and 15 minutes (75 minutes) of vigorous-intensity aerobic activity(http://www.cdc.gov/physicalactivity/basics/glossary/index.htm#muscle-strength) (i.e., jogging or running) every week and muscle-strengthening activities (http://www.cdc.gov/physicalactivity/basics/glossary/index.htm#muscle-strength) on 2 or more days a week that work all major muscle groups (legs, hips, back, abdomen, chest, shoulders, and arms). 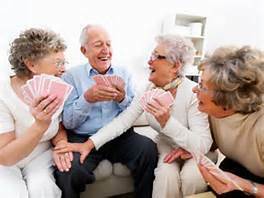 --- An equivalent mix of moderate- and vigorous-intensity aerobic activity and muscle-strengthening activities(http://www.cdc.gov/physicalactivity/basics/older_adults/index.htm) on 2 or more days a week that work all major muscle groups (legs, hips, back, abdomen, chest, shoulders, and arms). muscle-strengthening activities(http://www.cdc.gov/physicalactivity/basics/older_adults/index.htm) on 2 or more days a week that work all major muscle groups (legs, hips, back, abdomen, chest, shoulders, and arms). If you're thinking, "How can I meet the guidelines each week?" don't worry. You'll be surprised by the variety of activities you have to choose from. If you go beyond 300 minutes a week of moderate-intensity activity, or 150 minutes a week of vigorous-intensity activity, you'll gain even more health benefits. The Association for Community Health Improvement is the premier national association for community health, community benefit and healthy communities professionals. Regular physical activity helps improve your overall health and fitness, and reduces your risk for many chronic diseases. Fitting regular exercise into your daily schedule may seem difficult at first, but the 2008 Physical Activity Guidelines for Americans are more flexible than ever, giving you the freedom to reach your physical activity goals through different types and amounts of activities each week. It's easier than you think! The Physical Activity Guidelines for Americans (PAG) are an essential resource for health professional and policymakers. Based on the latest science, they provide guidance on how children and adults can improve their health through physical activity. Learn ways to help consumers understand the benefits of physical activity and how to make it a part of their regular routine. Here you will read about terms and definition that your fitness trainer will use. Be ready to hear it and learn it. If you're not sure about becoming active or boosting your level of physical activity because you're afraid of getting hurt, the good news is that moderate-intensity aerobic activity, like brisk walking, is generally safe for most people. If you know of a friend who needs out-patient physical therapy, we are here willing to help.